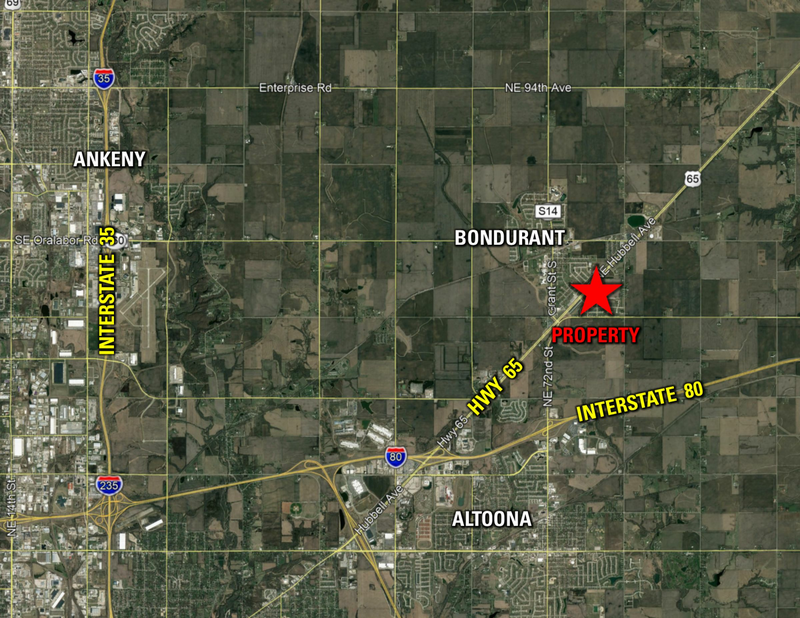 Offering 37.16 acres m/l of prime development land in rapidly growing Bondurant, Iowa. 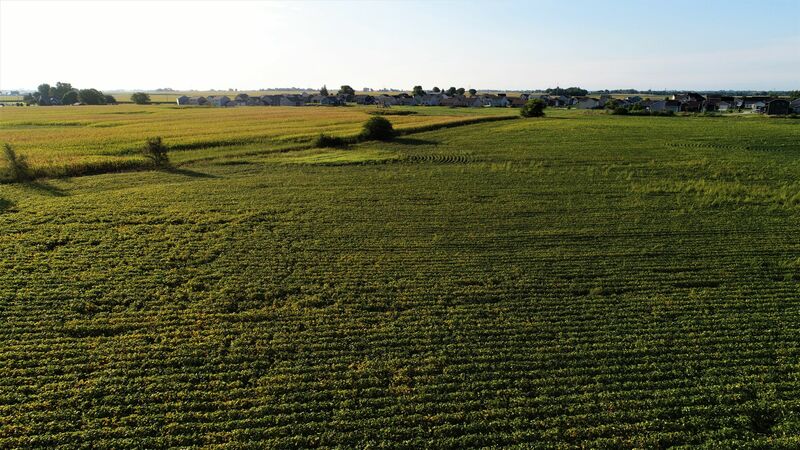 All sewer and water utility infrastructure is readily available to the site - contact agent for copies of utility infrastructure maps. There is a 12 inch water main along Lincoln St SE, as well as 3 to 8 inch mains that are stubbed in on the south side of the property at Cove St SE, Michael St SE, and Dee St SE. 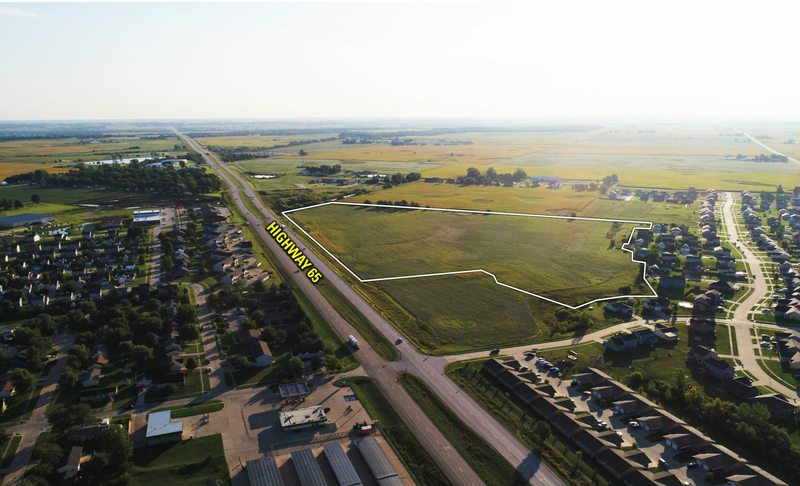 Sanitary sewer is located along Hwy 65 as well as all three streets stubbed in along the southern boundary of the property. 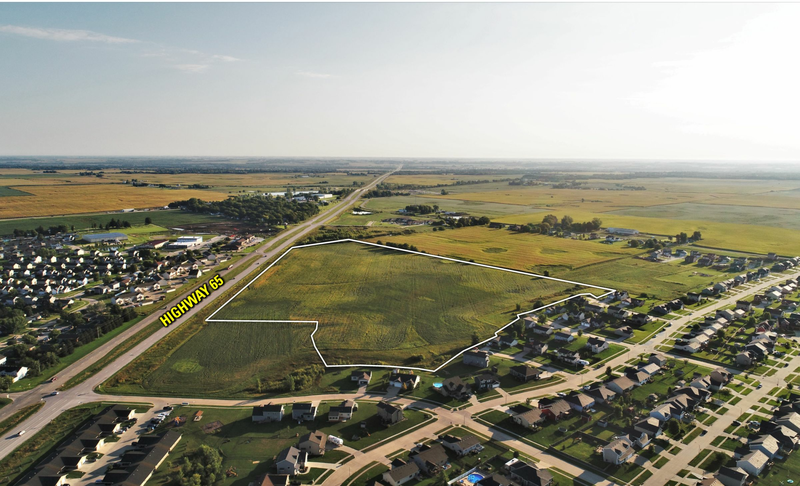 Situated in Bondurant's Hwy 65 Corridor Growth District, the property is zoned for multifamily (R-3) as well as lower density / single family residential uses (R-2), allowing a developer to get creative with their project(s). 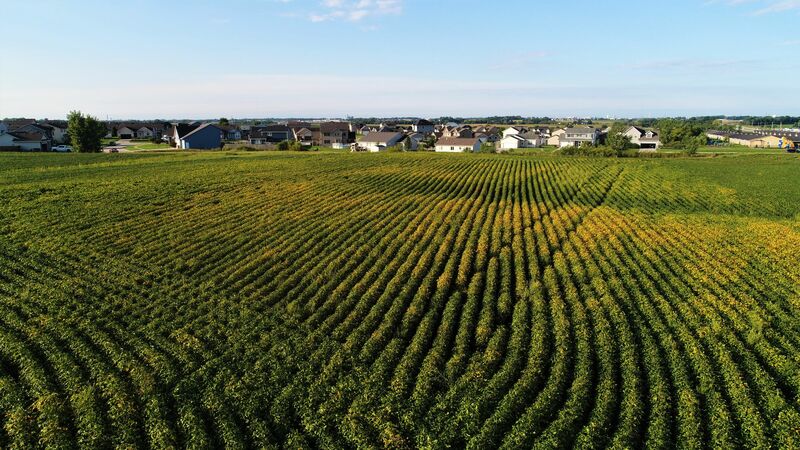 These uses are also reflected in the city's Future Land Use Plan. 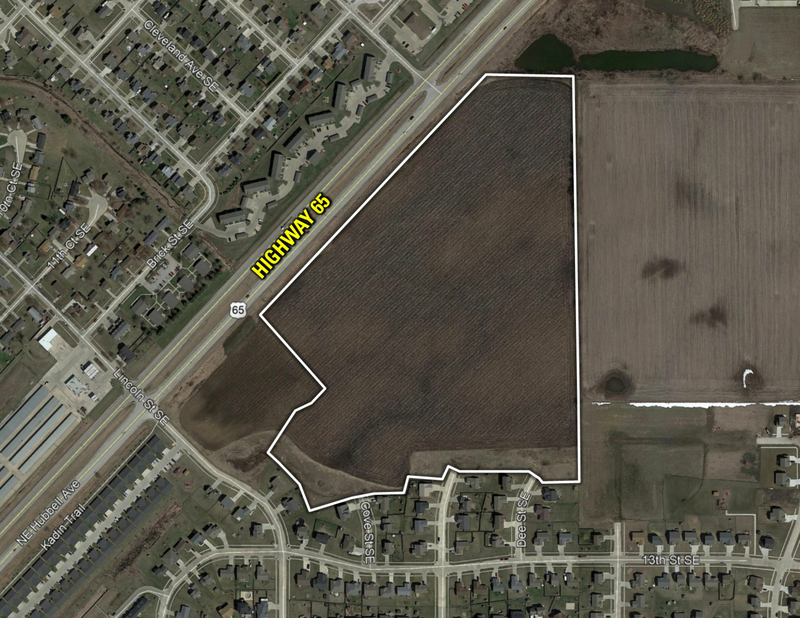 Minor arterial roadways are proposed in the northeast corner of the property off Hwy 65 as an extension of Washington Ave SE and then turning south to disect the property and connect with Michael St SE. 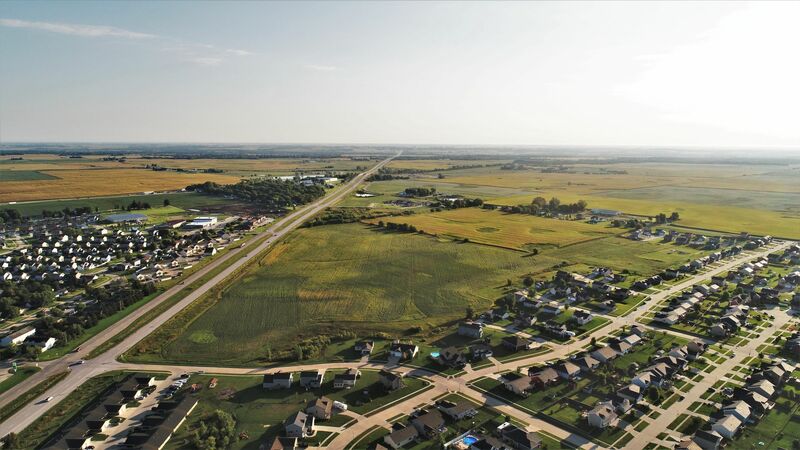 Located along Hwy 65 / NE Hubbell Ave, the property offers excellent visibility and easy access to the Metro and other major travel corridors. 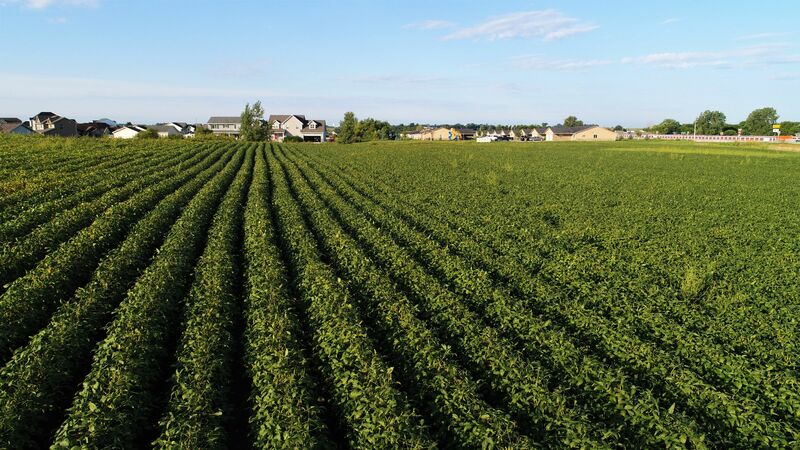 Land includes approximately 33 tillable acres with an 88.2 CSR2. 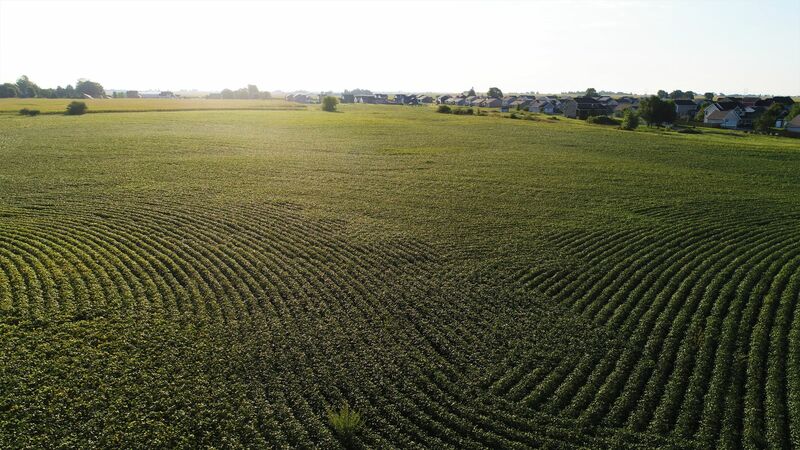 The W 1/2 of the SE 1/4 laying SE of Hwy 65 less 7.815 acres of Road and except Clarence Oleson Vista Estates Plats 1 through 5, all in Section 30, Township 80 North, Range 22 West of the 5th PM in Polk County, Iowa. Exact legal description to be taken from abstract. 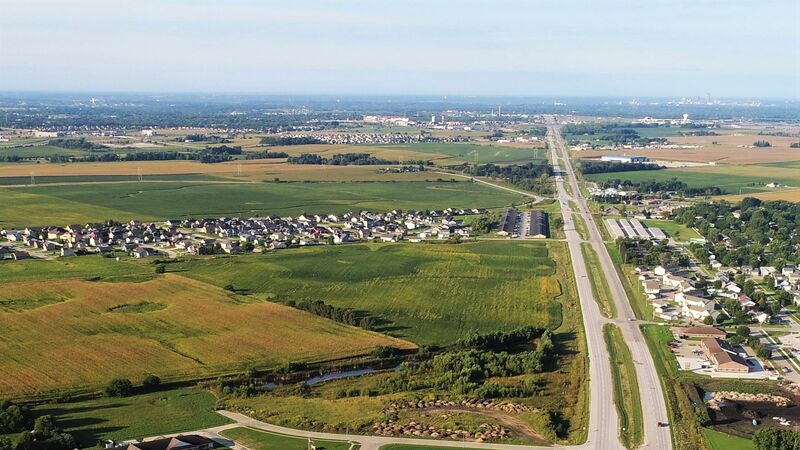 From the intersection of Interstate 80 and Hwy 65/NE Hubbell Ave, travel northeast on Hwy 65/NE Hubbell Ave approximately 3 miles. 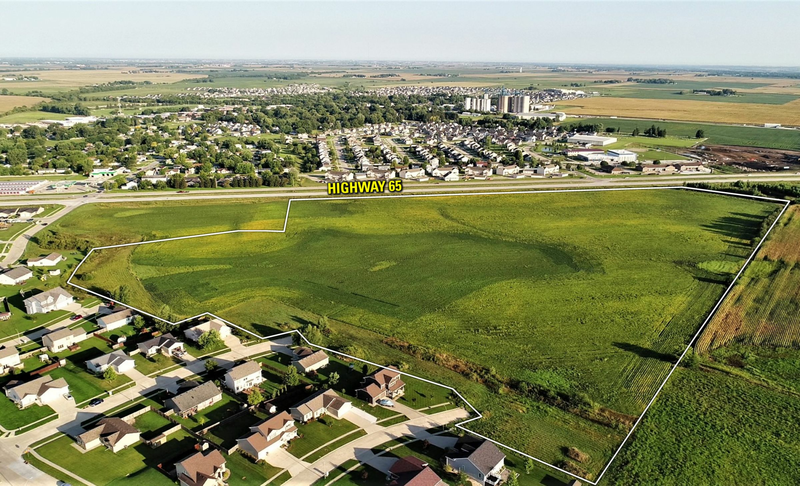 Property is situated on the east/southeast side of Hwy 65/NE Hubbell Ave. Property can also be seen from the south where Cove St SE, Michael St SE, and Dee St SE are stubbed in to its southern boundary.